Spring is in the air in Melbourne! So, if you’re like us, you are looking forward to getting outdoors and going for a run. It is extremely important to wear the correct footwear when running, so to help you out we have put together our Top 10 list of our best mens and womens running shoes for 2013 so far. We consider the Asics Gel Nimbus 15 running shoes to be the best neutral running shoes of 2013. Big call we know, but it’s justified. These runners contain both SpEVA and Solyte in the midsole; in simple terms, this double-layered feature provides you with the comfort you need as a runner. A new stretch mesh called Fluid Fit has also been used in the upper to deliver the ultimate fit and to ensure that your feet are secure while on the move. Asics went all out in this model to ensure cushioning was at the forefront of their design. The Gel in the forefoot and midsole is noticeable as soon as you put the shoes on, making the Asics Nimbus 15s suitable for a variety of different running styles. If you’re looking for a reliable Asics running shoe, the Gel Nimbus 15 is perfect. The Asics Gel Kayano 19s fit like a glove. That’s why we’ve chosen these runners as the best stability running shoes of 2013. This season’s model includes all new Guidance Trusstic technology and more flexible forefoot boost mechanics. Basically, these features have been included to reduce the time your feet spend on the ground. The Kayano 19s have also had a 20g weight reduction, making them the lightest Kayano’s to date! To top it off, this seasons Kayano’s produce 27% less carbon per pair during the production process. True to Asics form, these Asics running shoes not only feel great but look great too and are available in a fun array of colours. The third pick of the year is the Nike Free 5.0. We’ve chosen these Nike running shoes as the best lightweight running shoes of 2013. The Nike Free has been designed to achieve the barefoot running sensation; therefore this shoe has been engineered differently to other running shoes. As you try these runners on you can immediately feel that you are wearing something very different. The upper of these minimalist running shoes is made from a lightweight, breathable mesh and is also extremely flexible to allow the foot to move naturally; in fact, it is so flexible you can almost roll the shoe up into a ball! (We don’t recommend doing this too often)! The phylon from the midsole is strategically placed to ensure durability. For a smooth ride in a fun lightweight package, check out the Nike Free 5.0. Flexible. Lightweight. Comfortable. These are just a few words to describe the Nike Flex runners. At number four, the Nike Flex running shoes feature a stretched bootie with a breathable overlay; this ensures your feet experience enhanced breathability and a more customised fit. The soft phylon midsole also provides great cushioning in all the right places. The outsole is extremely tough as it is made from Phylite; this material combines the cushion of the midsole with the durability of the outsole. The two work together to ensure the foot feels a full range of motion. 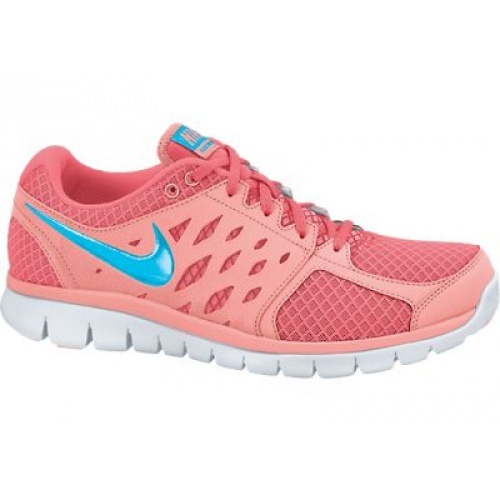 If you’re a fan of Nike, you should definitely check out these Nike running shoes online. The Asics Gel Impression is a reliable running shoe designed for those with a neutral foot type. Featuring a rearfoot GEL unit encased in an EVA midsole, you will find that shock is reduced while you run. An AHAR outsole also increases the durability of the shoe. If you’re looking for a well-cushioned ride with a traditional fit and feel, you will be pleased with the Asics Gel Impression. For one of the best pairs of Asics running shoes on the market, check out these Asics runners now. At number six we have the Asics GT 1000. This model is new to the GT family and has made an impression on many runners. These Asics running shoes feature a Guidance Line; this technology ensures the foot lands on a natural line of progression and provides extra support. Additionally, these Asics runners feature a discreet rearfoot GEL unit which reduces the impact your feet feel while running. The Asics GT 1000 running shoes pack performance, fit and superior cushioning into a sleek affordable profile. The perfect men’s and women’s running shoes. As the latest shoe in the GT family, the Asics GT 2000 is considered to be consistent and reliable in the eyes of runners. The upper fit and function have improved in this model due to the inclusion of Discreet Eyelet lacing, basically this technology evens the lacing tension across the feet to create a custom fit and improve comfort. The upper on these Asics running shoes is now also seam free, further improving comfort while running. Asics traditional GEL cushioning system is located in the heel and provides comfort during long runs. The Asics GT 2000 is ideal for runners looking for added stability from their running shoes. The GTS 13 is Brooks best Adrenaline yet! The underfoot flex has been paid extra attention with the addition of Omega Flex Grooves which allow the outsole to bend and shape naturally. Stretch eyelets capture the foot while Flextra and Brooks DNA (unique to the Brooks brand) ensure customised stability and added cushioning. These Brooks running shoes also feature Moisture Managing Element technology that provides protection from weather and ensures your feet can breathe. The Brooks Adrenaline GTS13 is ideal for runners who are mild to moderate pronators. Close behind the Adrenaline is the Brooks Trance 12. Featuring full length DNA cushioning and premium upper materials, the Trance 12 is ideal for the runner who looks for added support and premium features in their running shoes. Brooks DNA provides an adaptable cushion; this means that the cushion softens at slower paces and becomes more firm as your speed increases. These Brooks running shoes are responsive and stable, yet still deliver runners a traditional Brooks fit. Ideal for runners looking for a reliable running shoe. Our final running shoe for 2013 is the Asics DS Trainer 18, a shoe built for the mild to moderate over-pronator looking to train at their best. This model continues to be an incredibly stable and lightweight trainer. The upper has been newly designed, resulting in a 25g weight reduction without any sacrifice to the technical benefits. In fact, comfort levels have been increased with the introduction of a Clutch Counter in the rearfoot. Further, the Guidance Trusstic facilitates a more efficient progression from heel strike to toe off. If you love Asics running shoes, you can check out our full range of Asics running shoes online. These Top 10 running shoes have been selected based on our range of running shoes online and in our retail stores throughout Melbourne. You can check out our full range of running shoes online by clicking here. If you have a favourite running shoe you would like to review, send your article through to us at shopsmart@sportsmart.com.au and we’ll publish it right here on our blog.